Below you will find recent news items related to L. Ron Hubbard or his works from around the world which may be of interest to journalists. Inclusion here does not constitute endorsement of outside publications or content of specific stories. The Mayor of the Kolkata Municipal Corporation expressed his support for the work of The Way to Happiness Foundation of India with a special plaque thanking L. Ron Hubbard, the author of the book, for his contribution to Indian society. The Friends of L. Ron Hubbard Foundation and the Church of Scientology International received the Arizona Governor's Heritage Preservation Award this week for the painstaking restoration they did of the house where L. Ron Hubbard lived from 1952 to 1955 in Phoenix, Arizona. On March 17th and 18th, over ten thousand Scientologists gathered to hear the latest news about a new breed of Scientology church, at the L. Ron Hubbard Birthday celebrations in Clearwater, Florida and Los Angeles, California. And many thousands more will attend this event in cities around the world over the coming weeks. In a tradition that dates back to the 1970's, Scientologists in churches and missions around the world commemorate the March 13th birthday of Scientology founder L. Ron Hubbard in the way he himself asked it to be celebrated�by greatly expanding their service to the communities in which they live. In 160 countries around the world millions of people celebrate March 13th, the birthday of L. Ron Hubbard (1911-1986), founder of the Scientology Religion. Millions of people are searching the Net for information about the Scientology religion and more new people walked into Scientology churches in the year just past than at any time in history. The world over, teachers enter their profession to help create the future of society by providing children with the tools they need to succeed in life. 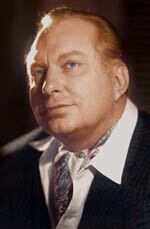 Perhaps no profession is in greater need of the technology developed by L. Ron Hubbard. Frankfurt, Germany (October 7) — Tens of thousands of authors, publishers and book industry professionals gathered this October at the annual Frankfurt Book Fair, the largest and most important event for the international publishing industry. Many of the publishers' stands featured the books of hundreds of authors. 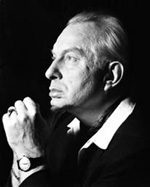 Unique among them is New Era Publications, which publishes the work of only one author, L. Ron Hubbard. Over 500 fans, along with NASA astronaut Col (Ret) Rick Searfoss (now a test-pilot for XCOR Aerospace) and actress Marisol Nichols (Fox TV’s “24”), attended the 22nd L. Ron Hubbard Achievement Awards ceremony this past weekend at the San Diego Air & Space Museum to honor the 24 winners of the international Writers and Illustrators of the Future Contests and cheer the release of "Writers of the Future Volume 22”, the book featuring their first professional sale. Scientologists, friends and admirers this week are celebrating the extraordinary life of international best-selling author and founder of the Scientology religion, L. Ron Hubbard (1911-1986). LOS ANGELES — Scientology Founder, L. RonHubbard named as world’s most translated author by Guinness World Records, topping other best-selling author’s works. LOS ANGELES — Scientology Founder, L. Ron Hubbard named as world’s most translated author by Guinness World Records, topping other best-selling author’s works. An exhibition of more than 200 rare photographs that portray the life and work of Scientology founder L. Ron Hubbard will open today at 3 p.m. in the Amerisia Building, 30 E. Broadway, Suite 101. Actress Catherine Bell, who portrays Lt. Col. Sarah Mac MacKenzie on the CBS television series JAG, will open the exhibit with a ribbon-cutting ceremony. The Church of Scientology weighs in with its Olympic contribution  an exhibit of photographs by the faith's founder, L. Ron Hubbard. The display, at 30 E. Broadway, Suite 100, represents a breakthrough for a faith that has spent years battling for acceptance. One quiet night in 1997 a gunshot ripped through the Shady Oaks Trailer park just outside Chicago. In the confined space of Elvis Winterbottom's trailer the explosion from the .45 was deafening. As the bullet slammed into his hip, the force of the impact spun him around and he fell to the floor in agony. The Church of Scientology has launched an international program to train thousands of new Volunteer Ministers. The Scientology Volunteer Minister Program was developed in 1976 by Scientology founder L. Ron Hubbard to enable individuals from all walks of life to provide practical assistance to others. Pre-eminent French educator Paul Guth expresses high praise for the contributions of L. Ron Hubbard in the field of learning. To appreciate the scope of L. Ron Hubbards life, his varied experiences and the many lands he visited in pursuit of answers to the human dilemma, the following chronicle has been provided.